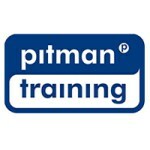 This course is brought to you by Pitman Training in association with The Digital Marketing Institute who create world-class training in digital education. The content of the course has been validated by The Syllabus Advisory Council, composed of representatives from the worlds most influential digital brands such as Google and IBM. The Council works with the Digital Marketing Institute to define the skills agenda and address the global digital skills shortage. This means that your course content is innovative and offers an exceptional opportunity to ensure you are being trained in line with the most in-demand digital needs and skillsets. Entry Requirements To maximise your learning experience, we would recommend that anyone wishing to study this course has some prior basic marketing experience or holds some existing entry level marketing certification or qualification.